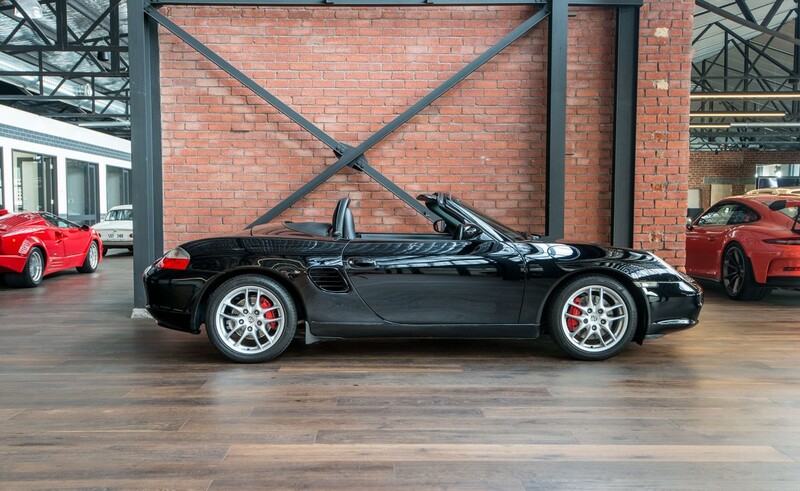 If you are looking for a good one then consider this example. 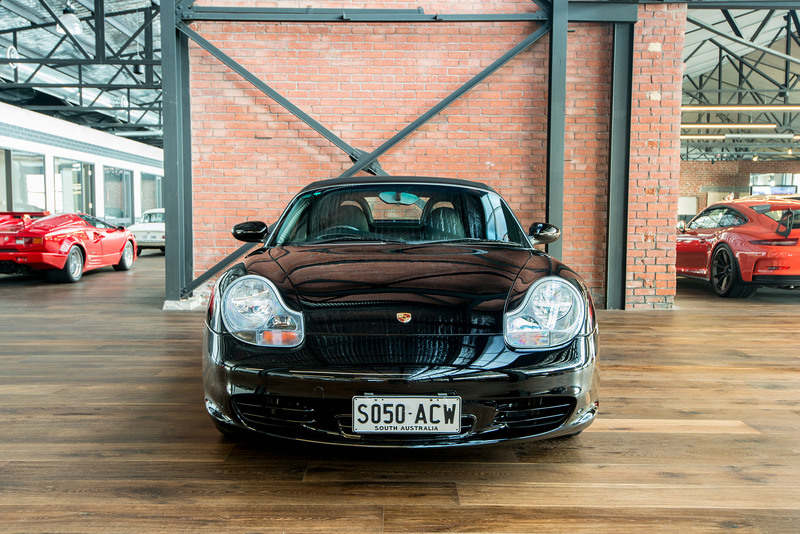 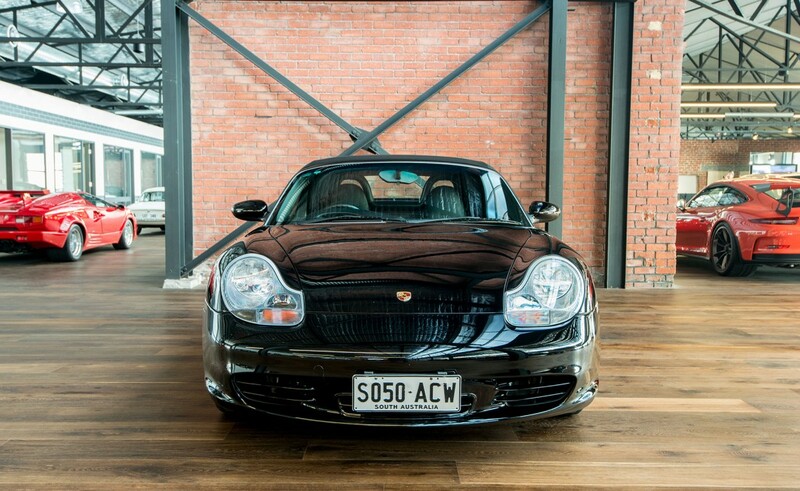 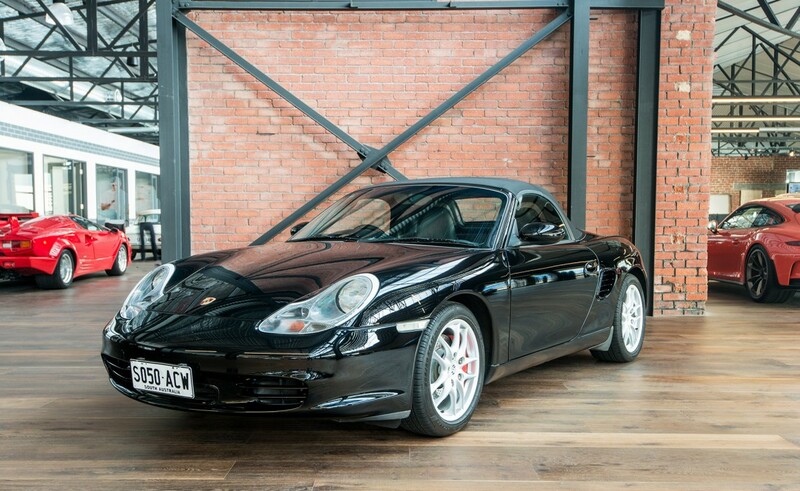 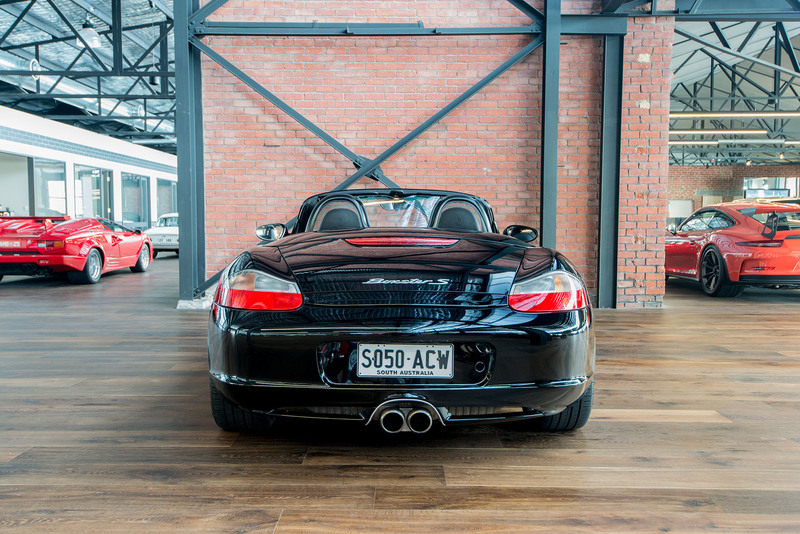 I actually sold it new when working at Adelaide's Porsche dealer, Chateau Moteur - just two owners at this time. 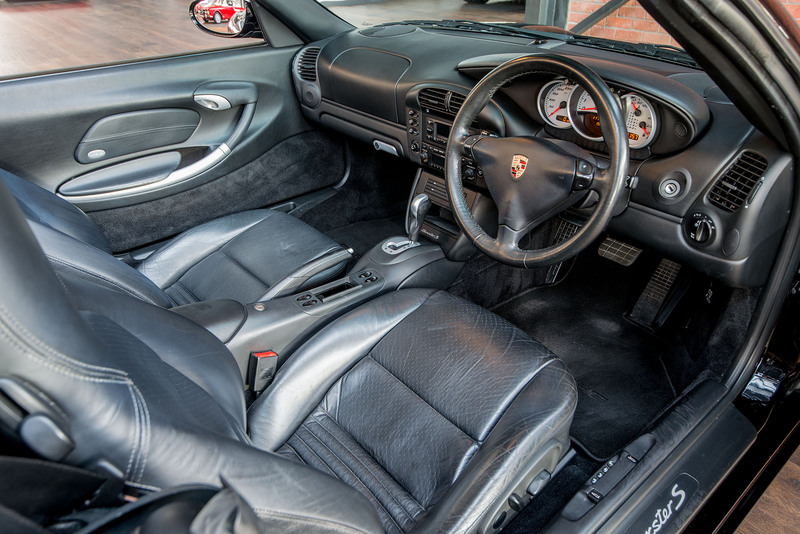 All the service history is Porsche Centre - very rare and reassuring too. 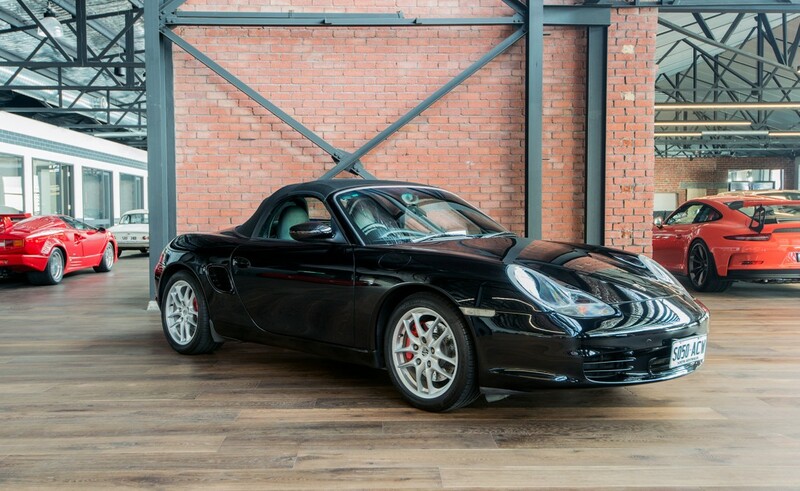 Most recent service 28/4/17. 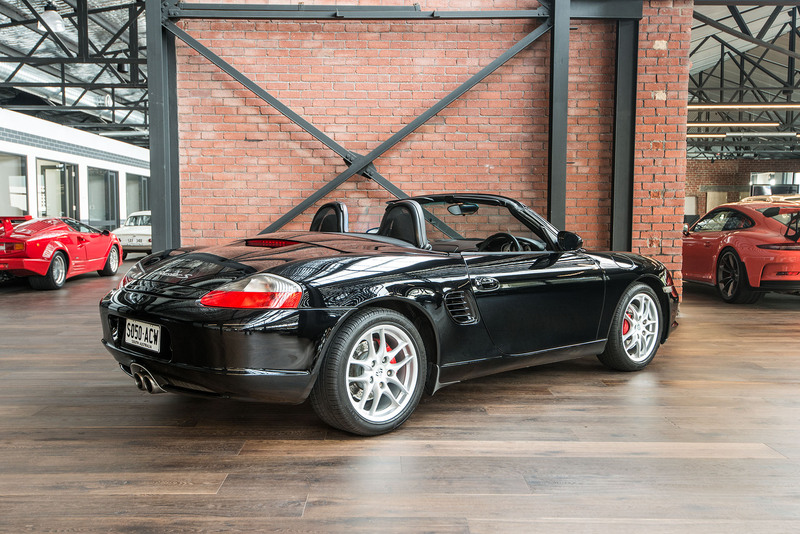 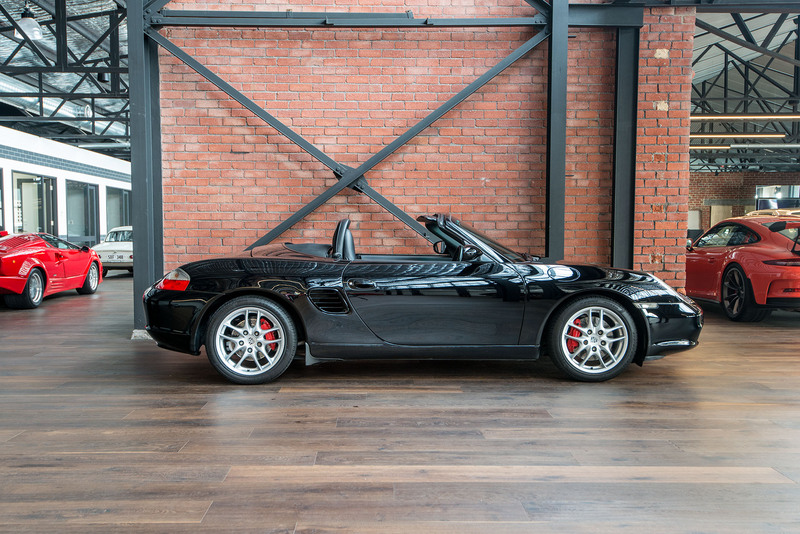 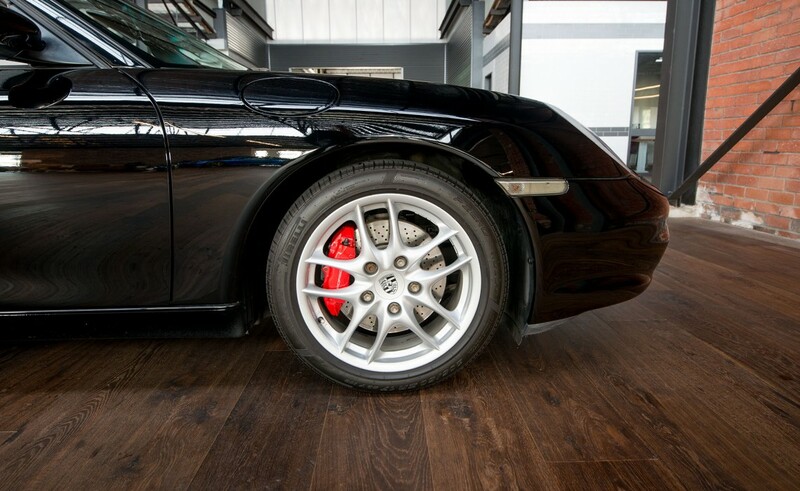 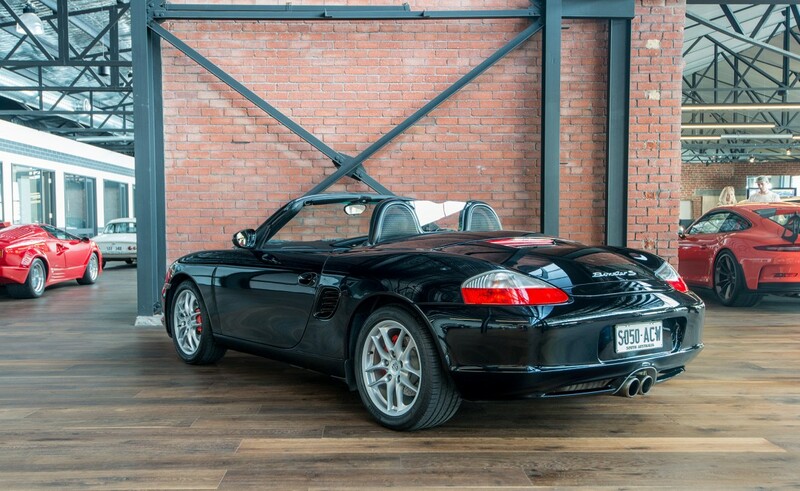 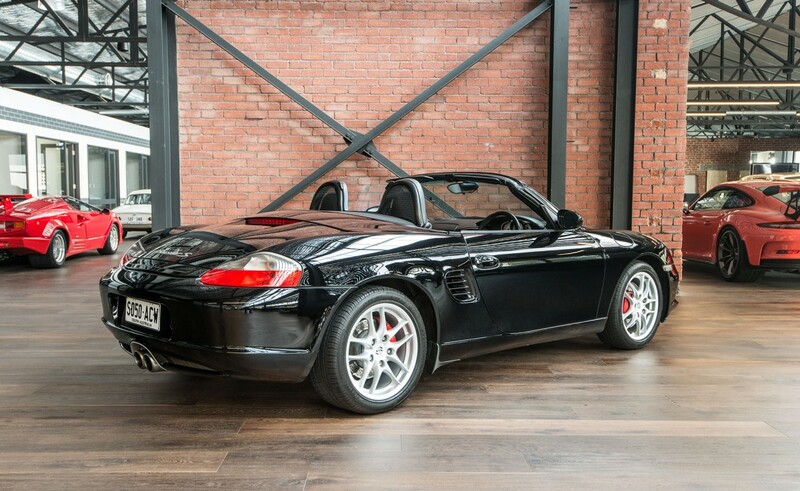 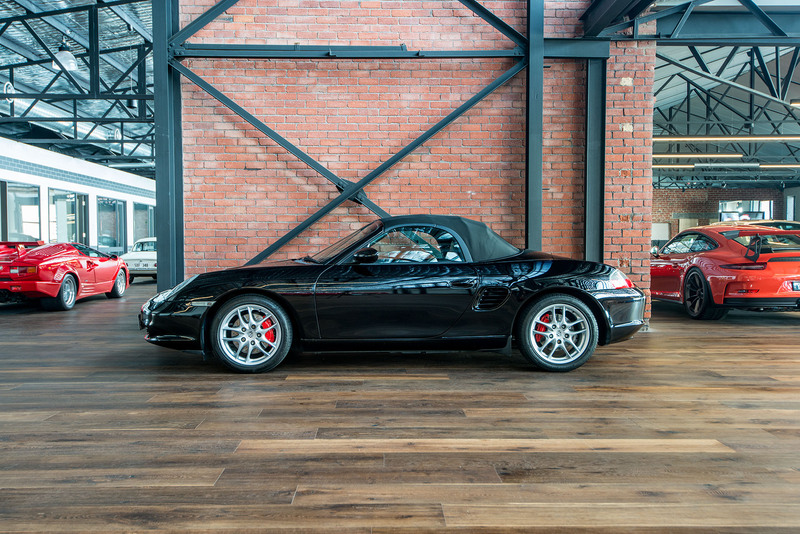 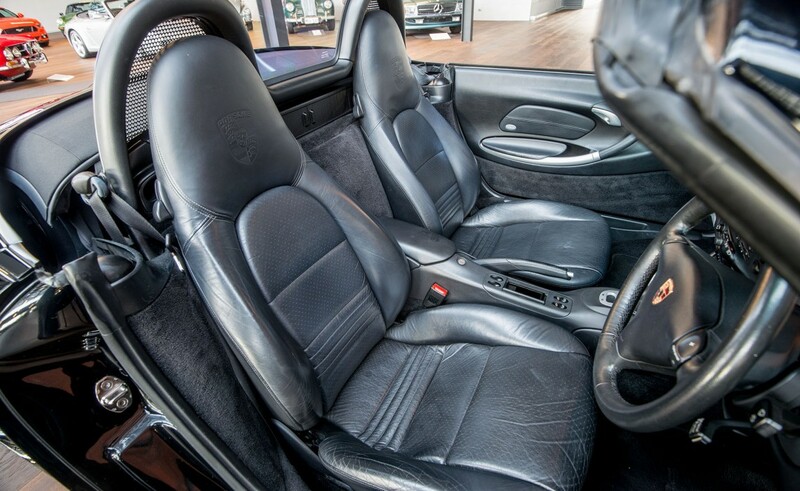 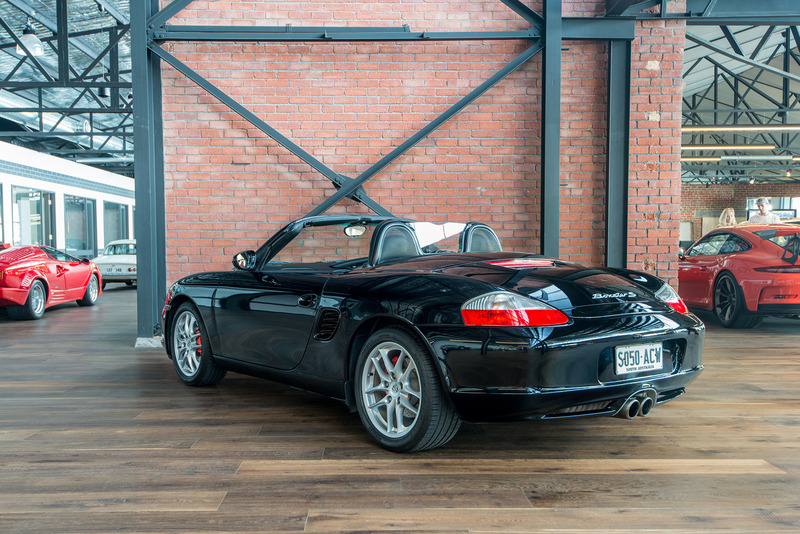 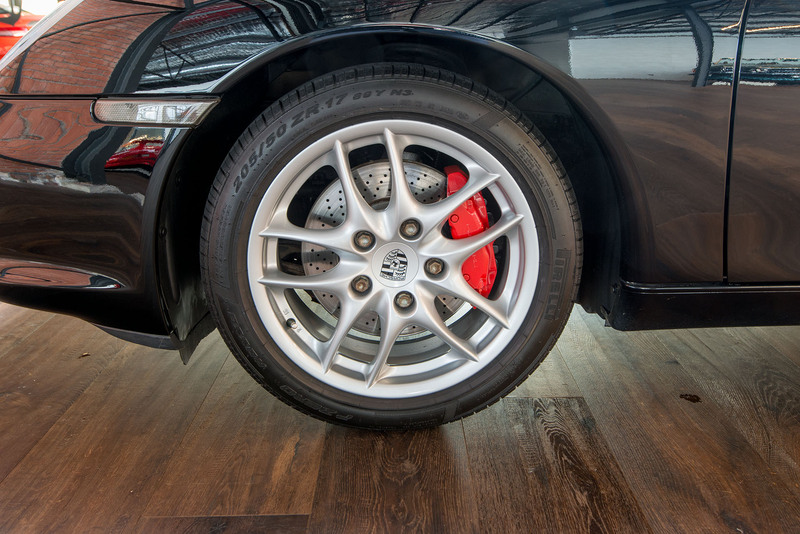 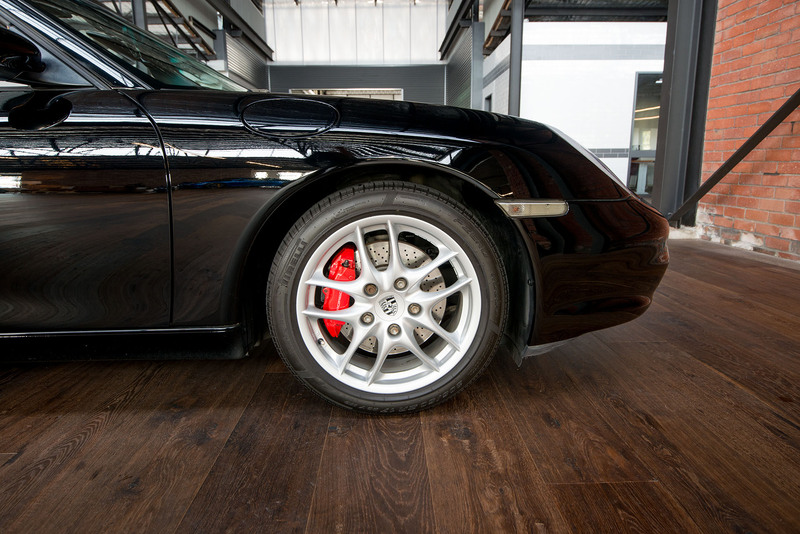 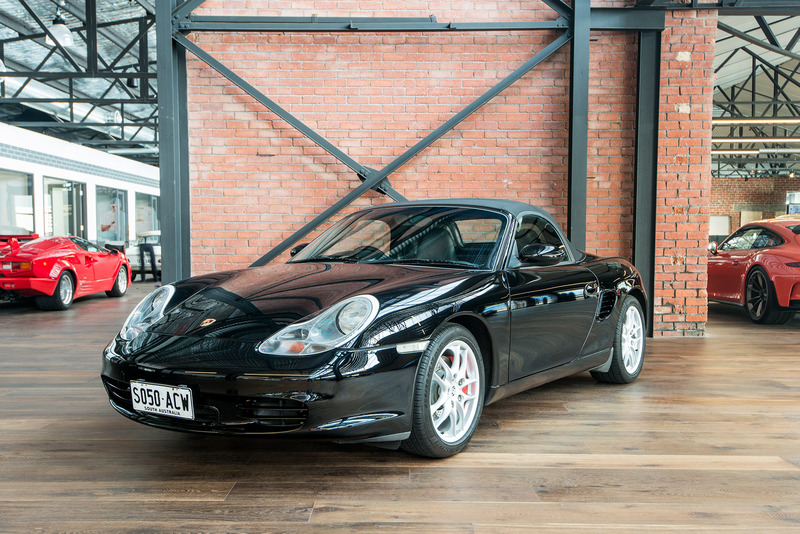 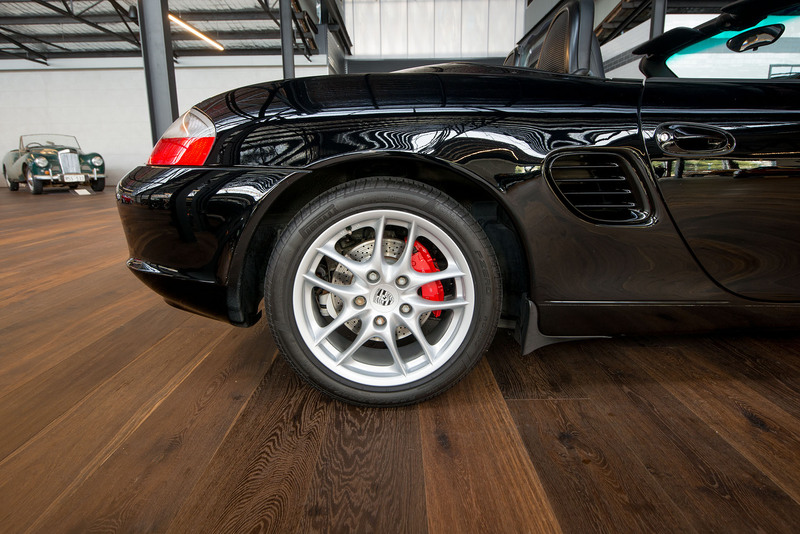 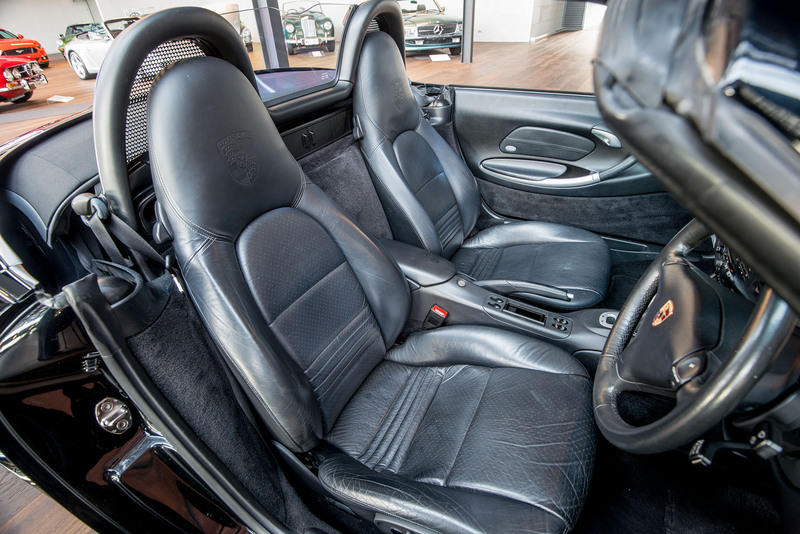 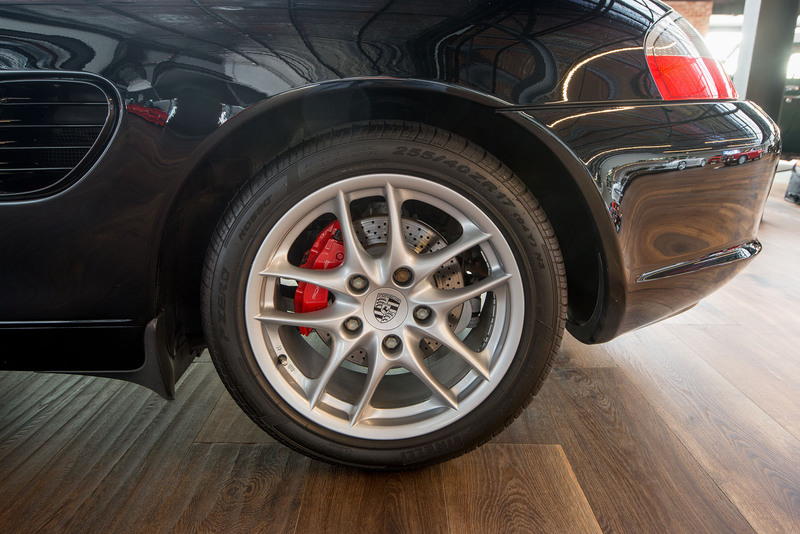 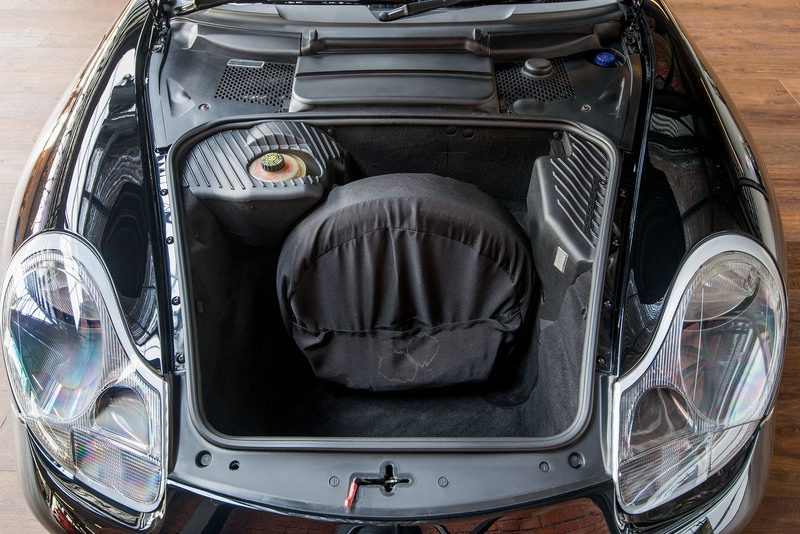 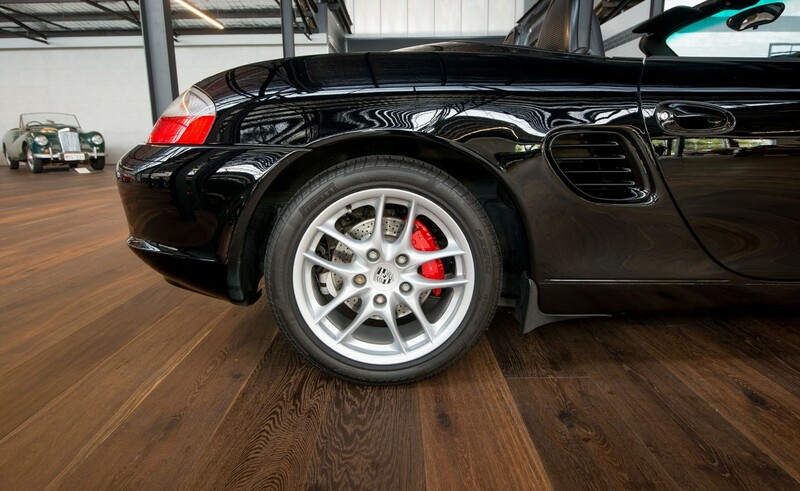 The Boxster S has a 3.2 litre horizontally opposed 6 cylinder engine with turbine-like smoothness and a fabulous sound. Power is 191kW (260bhp) with 310 NM of torque at 4600 rpm. 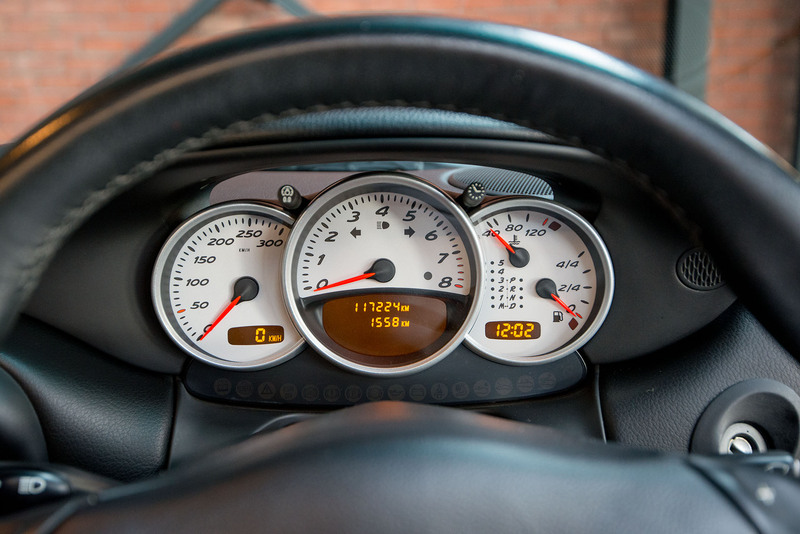 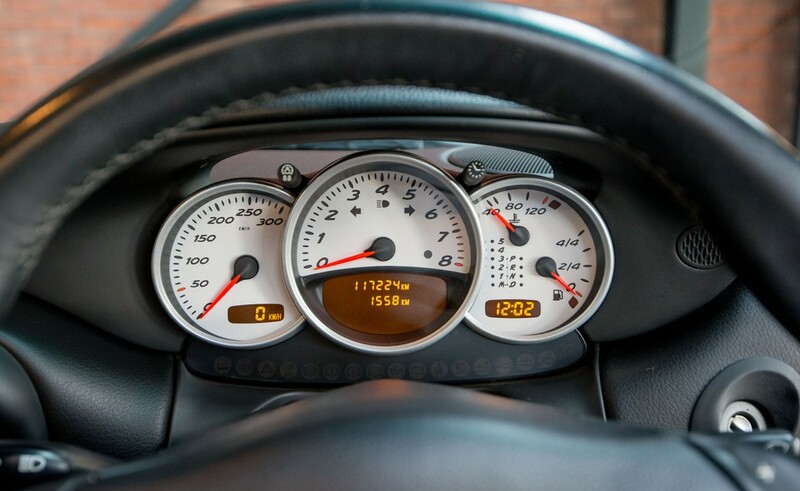 Factory figures indicate top speed is 258 km/h. 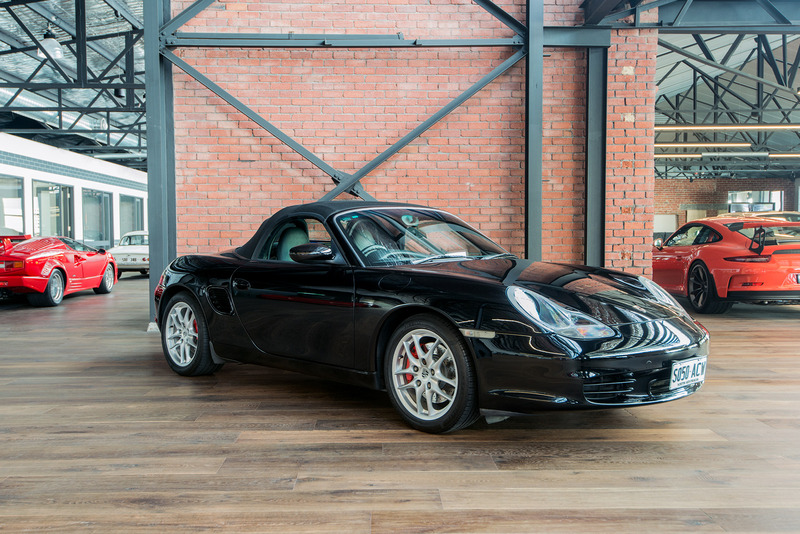 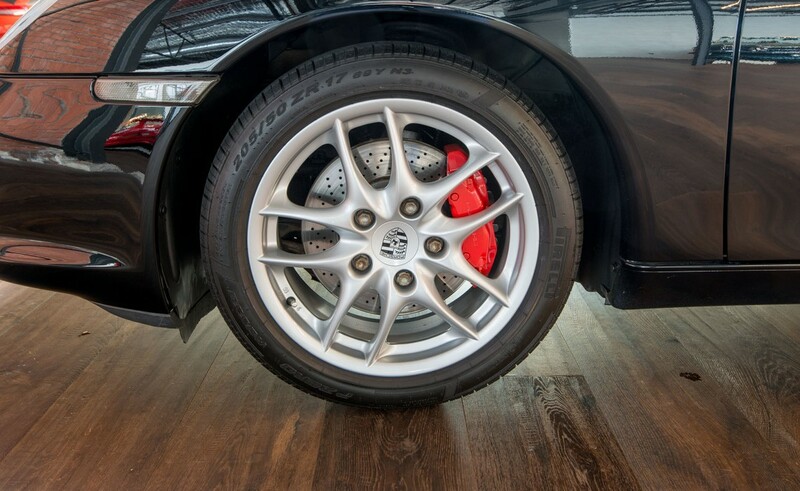 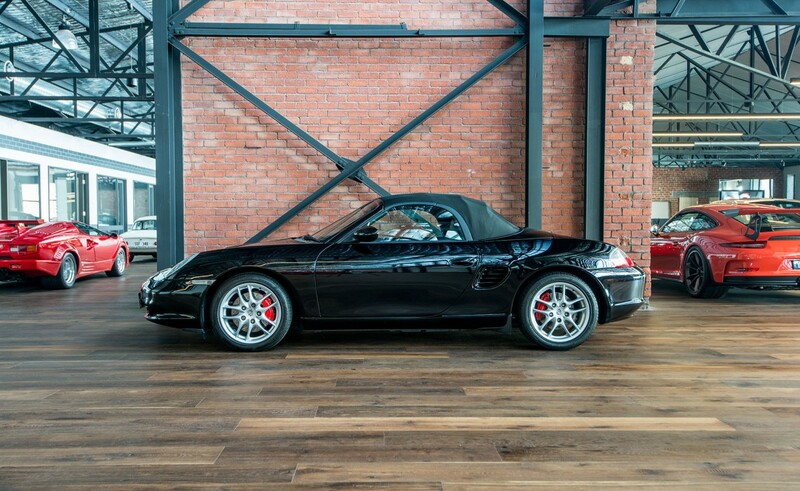 The Boxster S experience is much more than just numbers. It is a beautifully balanced mid-engine car with breath-taking cornering ability. 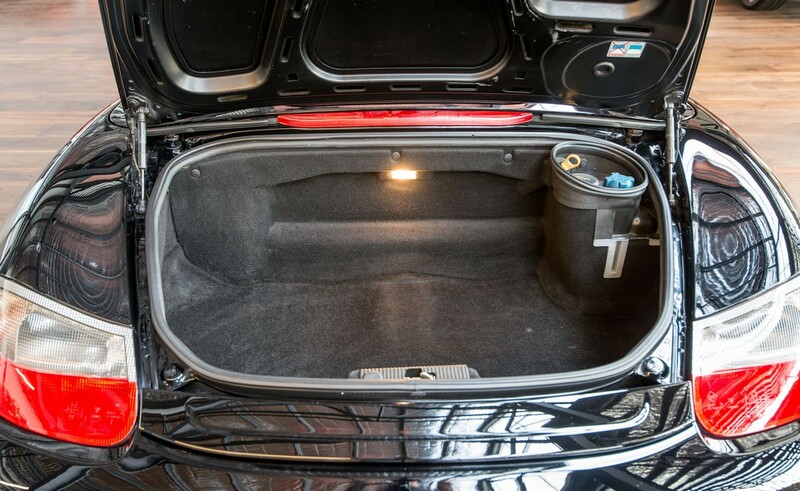 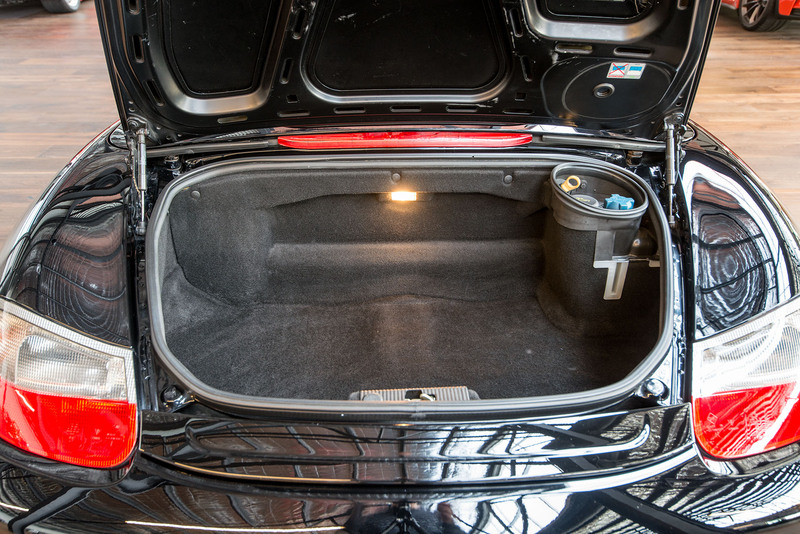 It is also great for every day driving - easy to get in and out and has room for luggage both front and rear. 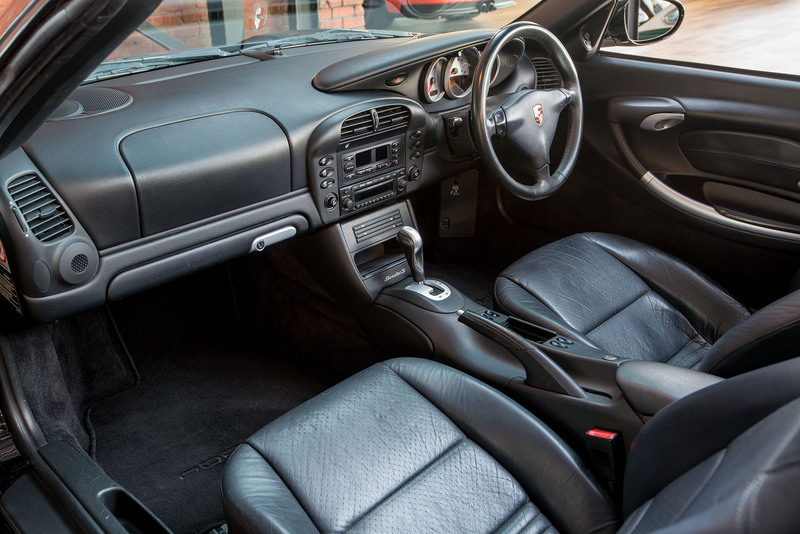 The electric roof cycles in just a few seconds and the 2003 model has the glass rear window with demister - earlier cars had a plastic window. 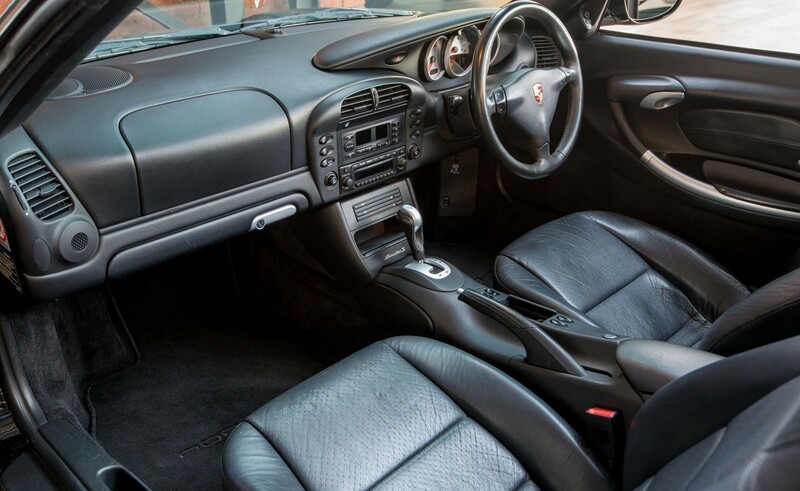 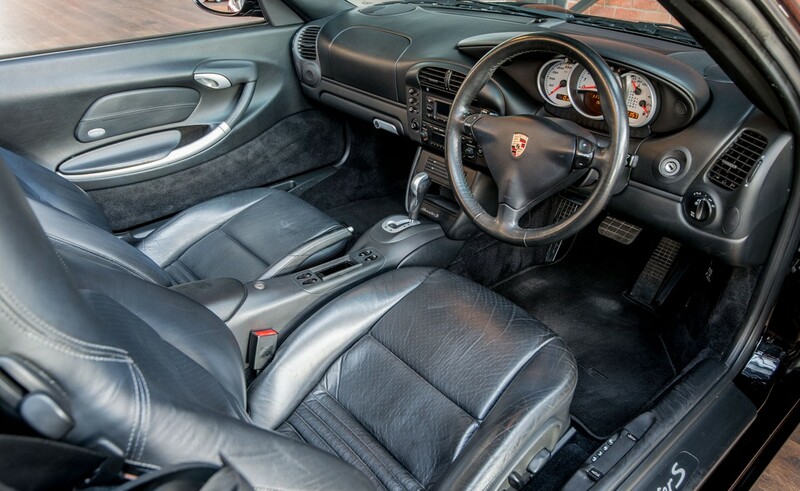 This one has the Tiptronic automatic which in true Porsche fashion is a sporty gearbox - I can explain all the features of this transmission to the purchaser. 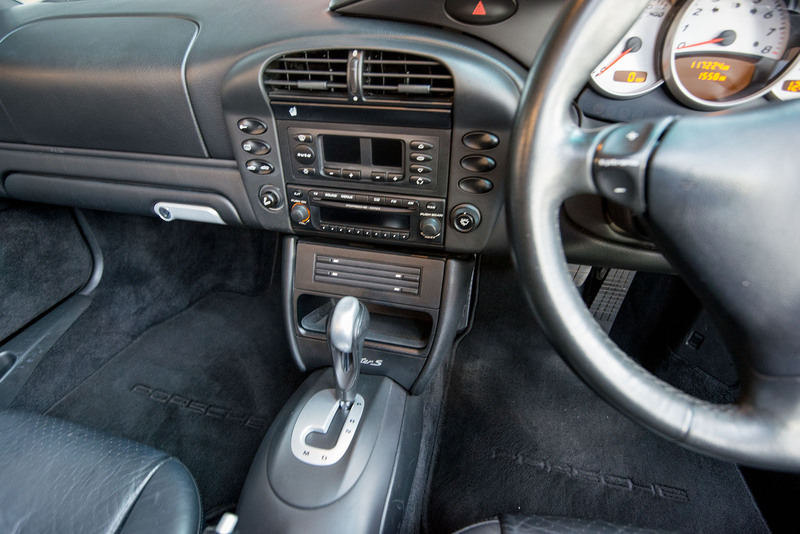 The colour combination of Basalt black metallic with black interior is a popular one - and good for resale down the track. If you are interstate and want to take a closer look, we are just 5 minutes from Adelaide Airport - we have a hoist and mechanic on hand weekdays to assist you to assess it thoroughly.